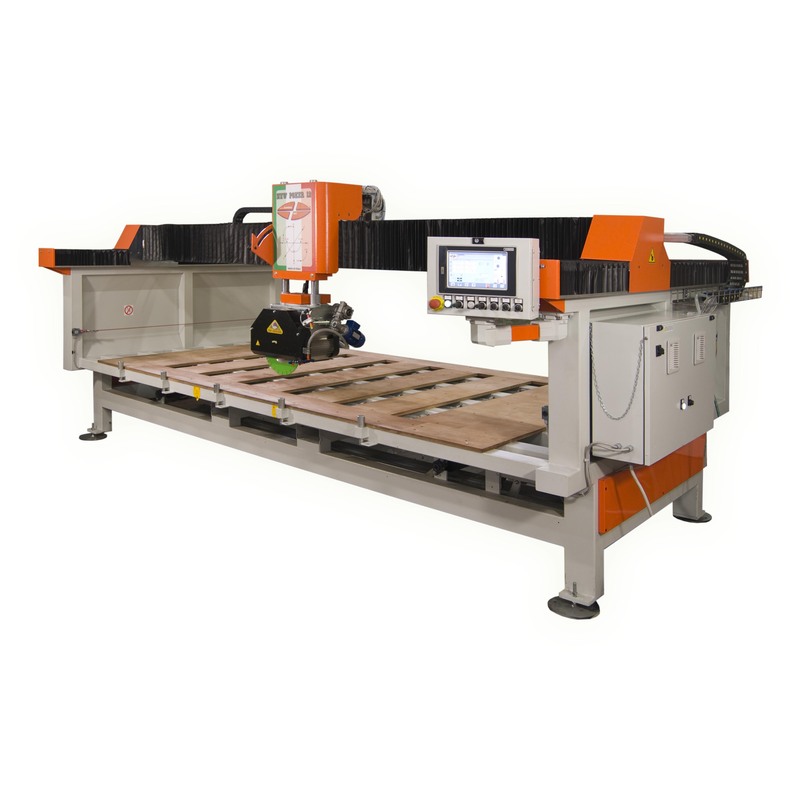 The Mondial Poker 12 stone saw is a monobloc, 6 axis automatic stone and granite saw. The monobloc design means gaurantees easy installation in any kitchen worktop manufacturing company. A frequency inverter on the blade motor ensures the correct blade speed can be selected for all types of stone. An interesting option is the addition of a water tray beneath the machine. 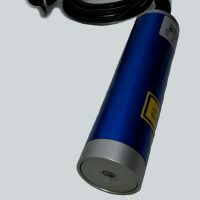 This allows the machine to have an independent water system, no costly water flow systems to install in your workshop. 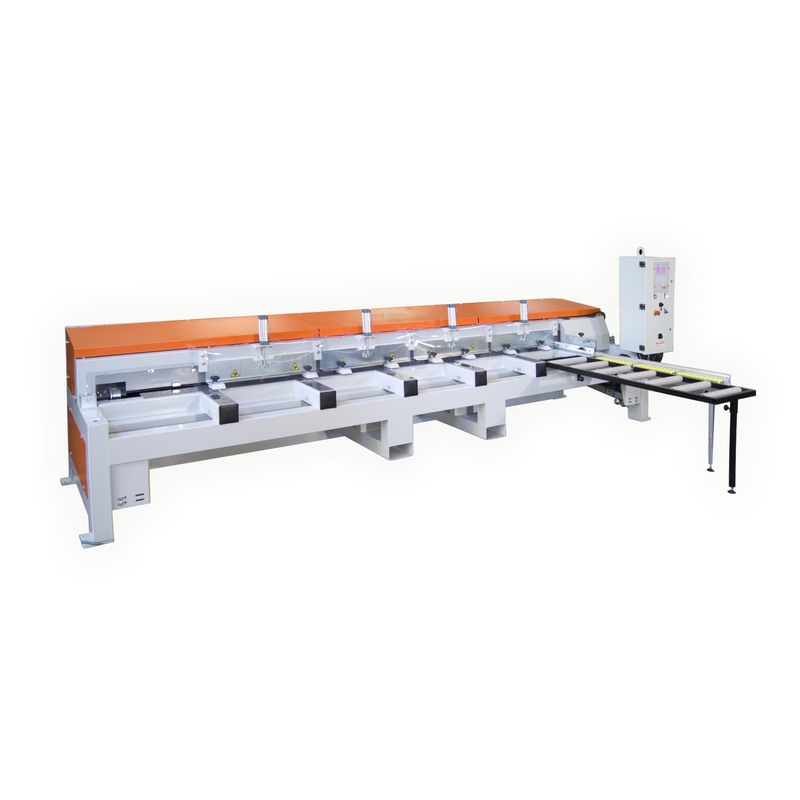 This is the latest design 6 axis stone saw manufactured by Mondial mec. 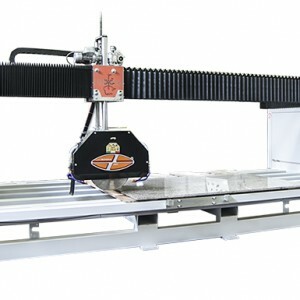 A very affordable stone saw that will allow you to enter high end manufacturing without the high costs. Easy installation, easy operation and easy on your budget. 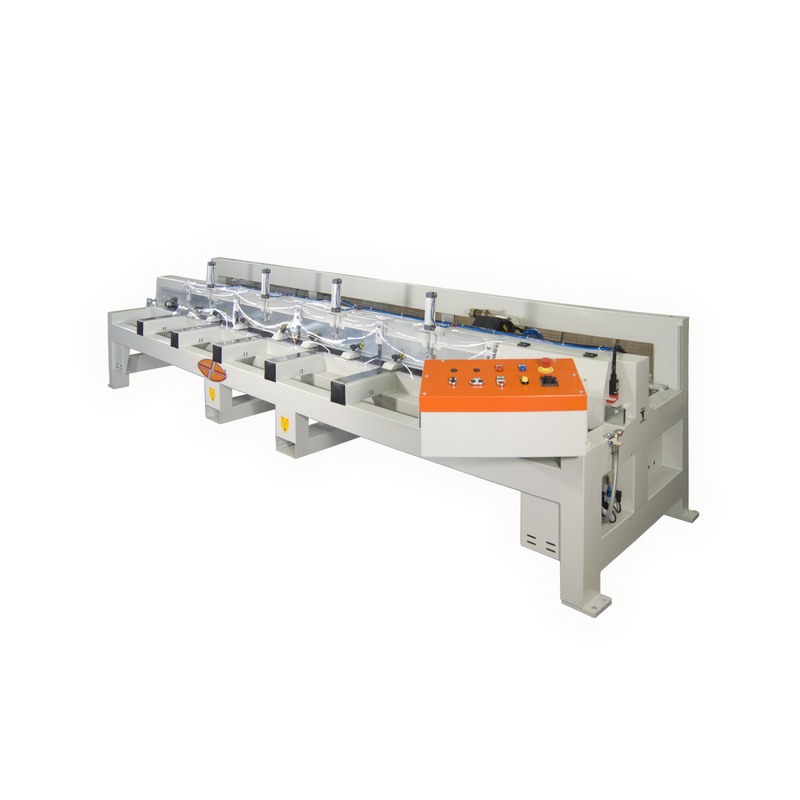 Robust, trustworthy and precise machine due to precision sliding placed on cut axis. Blade motor with adjustable speed, pop up rollers for an easy slabs positioning. Stops in fixed position removable from the machine bench. steps cut facility with head at 45 ° (K axis ).